Greetings chums, how are you all this fine day? Happy Easter Monday. Isn’t this post perfectly timed to help you find new books for the last day of your Easter break! I figured that the start of April seemed the right time to share part two of my recent reads series. We’ve had three months of the year now, so I should be a quarter of the way through my GoodReads goal of reading 50 books. Spoiler, I am. To find out just how many I’ve read have a good old read below. This one is the last book in the Half Bad trilogy. It’s been a good 18 months since I read book two in this series, but I was soon utterly engrossed in the world of black and white witches. The book is full of twists and turns, as the Nathan, Gabriel and their allies try to bring peace to their world. Sometimes I’m disappointed by the final book in a series, but not this time. I loved every second of this book and raced through the pages. I thought the ending was perfect. Actually it was something else too, but I don’t want to say anything more for fear of ruining the ending for those that haven’t read the book yet. There are rumours of this being made into a film, and if that’s the case I am totally there for this adaptation. Harriet and Charlotte are best friends who tell each other everything. But then one day Harriet’s daughter Alice disappears while Charlotte is taking care of her. Suddenly both women are searching for answers. How could this happen? Where is Alice? And how well do you really know your best friend? This is a fast paced, gripping thriller that keeps you guessing until the very end. I thoroughly enjoyed it. I seem to remember mentioning at the start of the year that I wanted to read more Agatha Christie books. I loved Murder on the Orient Express and The Body in the Library last year so I’m keen to continue reading more from Christie. Elephants can Remember is a definitely a good one. This is a Hercule Poirot mystery that sees our favourite detective and his friend Mrs Oliver investigate an apparent murder suicide that occurred 20 years ago. Without giving too much away I liked this story, the mystery and the solution that Poirot and Oliver uncover. The Couple Next Door was a huge hit last year, and as with every other huge hit I waited a little bit before reading it. I don’t like to fall into the hype around books and I think waiting a bit helps with this. That being said I half loved and half didn’t love this book. I thought it started off well, a baby goes missing from her own house, who did, what are her parents hiding and who has the child. As to be expected there was a lot of twists and turns in this one, which kept me gripped. However, the last third of the book because a little unbelievable. I just feel that the twists went too far in the end. This is a glorious book. I was fascinated by the three main characters Ben, Clare & Lucy and was invested in their stories from the very start. For me Clare’s story was my favourite and I found myself racing through this book trying to work out how her story would join up with Ben and Lucy’s. If you’re looking for a gripping book full of mystery, well-written characters and with a heartwarming feel to it then this is the one for you. 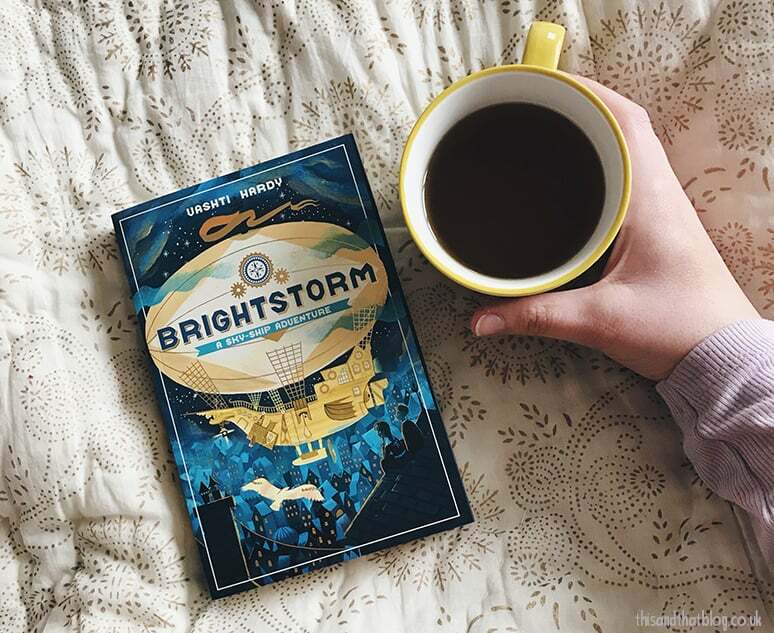 Brightstorm is a fabulous book full of friends, family and adventure. Maud and Arthur are in Lontown waiting for their father to return from his latest expedition to discover South Polaris. But then the unthinkable happens and the twins find their world turned upside down. Now with a band of new friends the pair set off on their own adventure to find their father and clear the Brightstorm name. This story is just really really lovely, yes it’s aimed at 8-12 year olds, but I don’t care. I whizzed through the book and I can’t wait to read book two. It made me want to fly a sky-ship and meet the thought-wolves. It’s been a while since I read a book by Dorothy Koomson, but after a couple of chapters I remembered just how much I love her stories. When her husband changes jobs, Cece moves her family from London to Brighton. She’s soon embroiled in a web of secrets. What is her husband hiding? What secrets do her new friends have? And why was a woman left for dead at her children’s new school? The Friend is packed full of intriguing characters, lots of secrets and believable relationships between all the characters. Also I’d quite like a Brighton beach hut pretty please. Next up on the recent reads list is book three in Lucinda Riley’s Seven Sisters series. I’m a big fan of these books, they’ve got the family saga thing going on, along with mystery and intrigue. The Shadow Sister follows Star as she searches for the truth behind her heritage. Set in England we switch between Star’s life in London and Kent and the life of headstrong Flora from The Lake District one hundred years earlier. I had a craving to read an American crime thriller so I searched my Kindle and found this from David Baldacci. This is book two in the Amos Decker Memory Man series and follows as he attempts to uncover who murdered Melvin Mars’ parents and then set Mars up to take the fall. Mars has been on death row for twenty years when, just before his execution, someone else confesses to the crime. This is exactly what I needed to read and it’s exactly why I picked a Baldacci book, he never disappoints. I’ve got book three on my bookshelf so I may have to dive into that one soon. This was the most perfect read during a snowy weekend. I read it in just 24 hours. 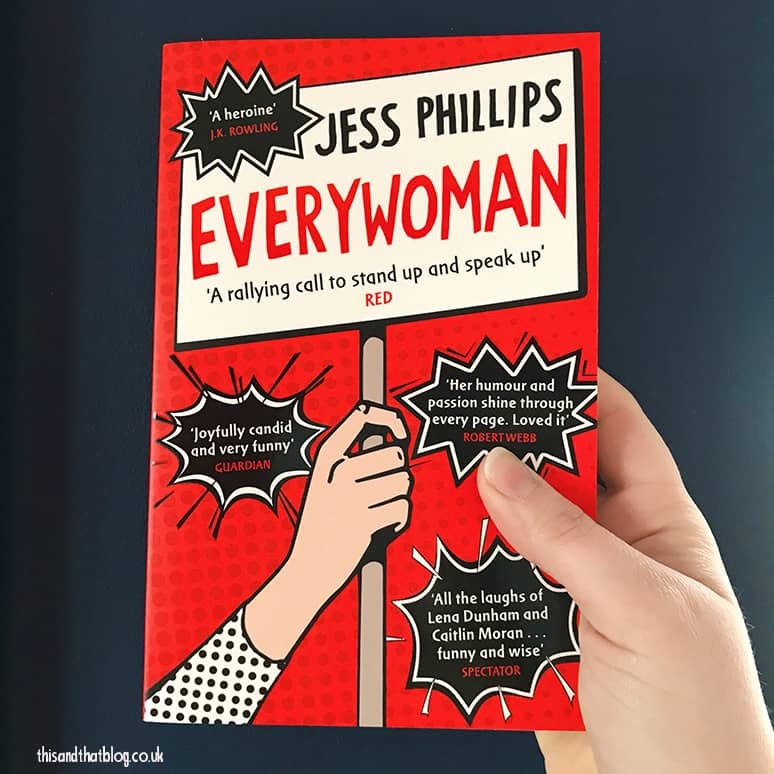 Everywoman is written by MP Jess Phillips. She shares her thoughts on a number of topics, including growing up, motherhood, violence and equality. It’s a witty and insightful read that encourages everyone to stand up and make their voice heard. I had so many emotions reading this book, I highly recommend. So there you have it, part two of my 2018 recent reads series. The ten books mentioned above bring my total books read for 2018 to 21. Which I think it a new record for me at this time of year. I guess this winter weather has to be good for something! Don’t forget that you can see a more up to date view of my reading life over on GoodReads here. 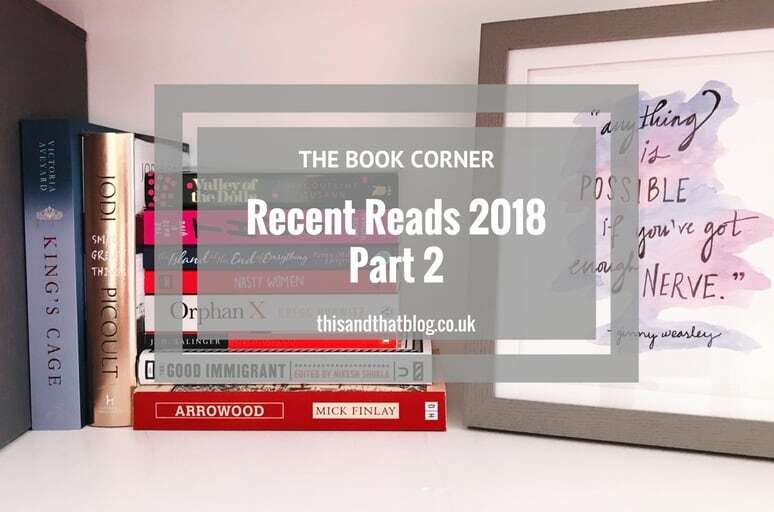 Also if you missed part one of my 2018 recent reads then check that out here.